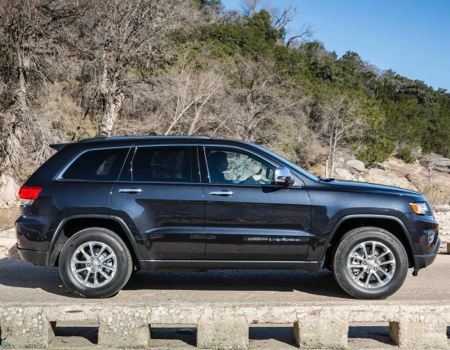 I have written about this before, but I believe it bears repeating – model year 2014 is a great one for Jeep Grand Cherokee. So far we have tested the base V-6 model and the top-of-the-line, no holds barred SRT version and loved both. 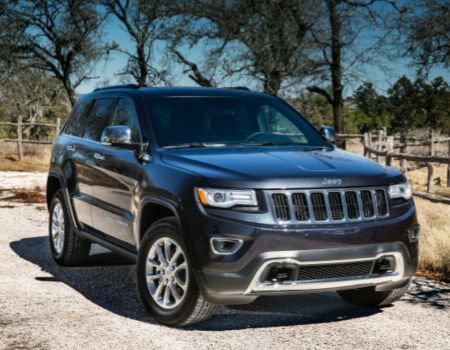 Now we take a look at the all-new 730-mile range EcoDiesel Grand Cherokee. This latest Grand Cherokee from Jeep arrived in Limited 4×4 trim and aside from the heated steering wheel during this colder-than-normal weather, I most enjoyed its new powertrain which consists of a 3.0-liter V-6 common rail diesel engine backed by a new eight-speed automatic gearbox. 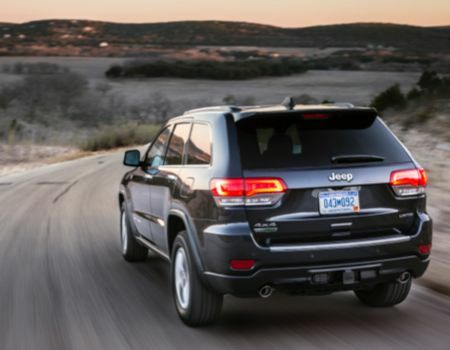 In two-wheel drive Jeeps, the new EcoDiesel engine will deliver up to 30 mpg highway with our four-wheeler rated for 21 mpg city and 28 mpg highway. 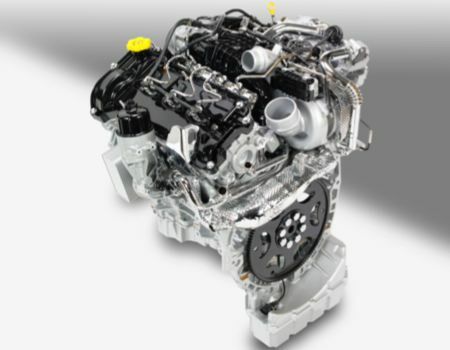 While it is true that diesel fuel is more costly than regular unleaded these days, this new EcoDiesel engine delivers 43 percent better fuel economy than competitive V-8 SUVs, and this motor puts some 420 lb. ft. of torque to the ground giving this rig a best-in-class tow rating of 7,400 pounds. While the EcoDiesel engine in the Jeep is not quite as quiet and smooth as those found in passenger cars we have tested recently, it does not exhibit near the clatter as the diesel engines found in full-size pickups. In other words, you can tell it’s a diesel, but you don’t have to shout at the drive-thru speaker to order your lunch. Jeep does fetch a bounty of $4,500 for the EcoDiesel engine that also adds heavy-duty brakes and engine cooling systems, but these costs should be offset by the potential fuel savings as well as added workhorse capabilities and inherent long-term reliability of a diesel engine. 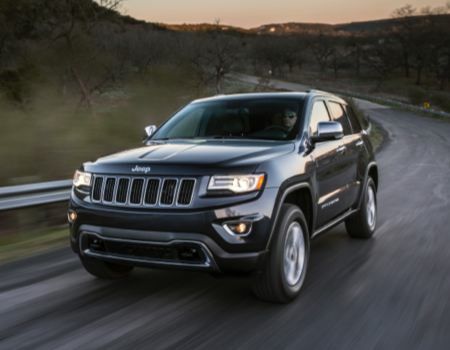 Pricing for this loaded 2014 Jeep Grand Cherokee EcoDiesel model in Limited 4×4 trim runs a tick over 48 grand, but that price also fetches the upgraded Quadra-Trac II 4WD system and Selec-Terrain traction management system as well as Uconnect infotainment system, SiriusXM Traffic and TravelLink, premium navigation system, and 8.4-inch touchscreen display, dual-pane panoramic sunroof, Nappa leather ventilated seating and stylish 20-inch wheels with all-terrain tires, all of this on top of a lengthy list of standard comfort, convenience and safety features. This “most awarded” SUV ever is one of the most rewarding for those seeking the perfect blend of comfort and capability in their multi-purpose vehicle, and with the range of powertrains available including the new EcoDiesel model Jeep has once again set the bar very high.